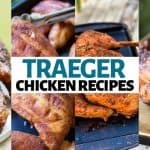 My Smoked Salmon Dip uses our Traeger Smoked Salmon and a few other simple ingredients to create the best salmon dip that I’ve ever had. Serve with crackers or a sliced baguette and prepare to be realllly popular. 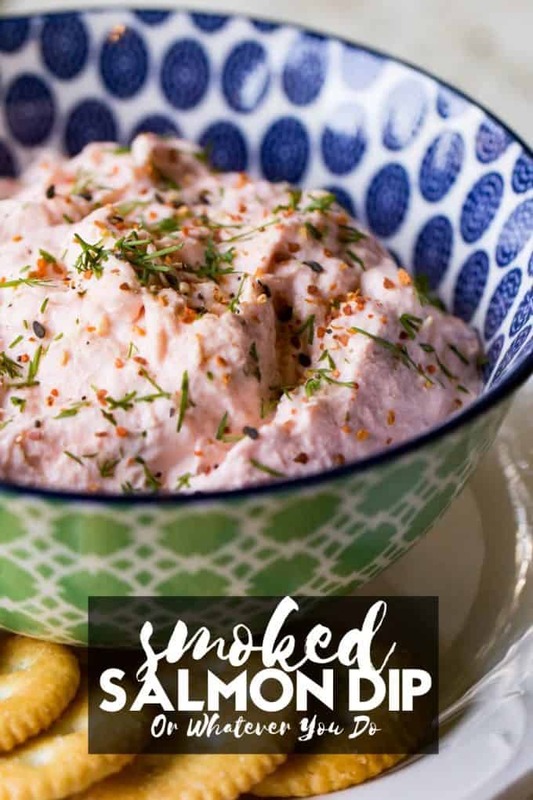 Silky, smokey, and rich in flavor is what you will find with this incredible smoked salmon dip. 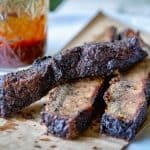 Whether you serve it for your weekend entertaining, brunch, or a snack one evening, you will be pleased. You can get as casual or as fancy as you would like with this easy salmon dip! Serve on bagels, with crackers, fresh vegetables, or even endive leaves. It is all about preference and what you have on hand. 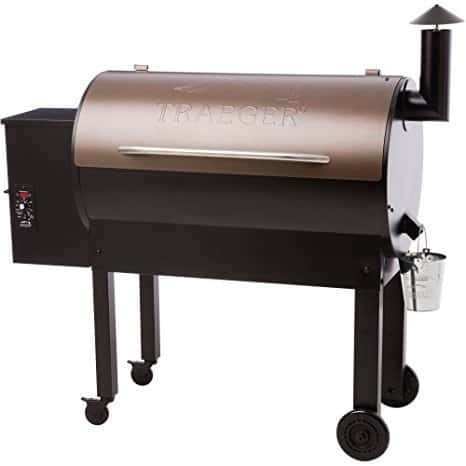 My husband loves to salmon fish, and a lot of times we will make smoked salmon on the Traeger. If you don’t smoke salmon yourself, you can always buy smoked salmon at your local butcher or grocery store. With a handful of staple ingredients, you can make this easy dip in just a few minutes to feed to some surprise company or just to treat your family. 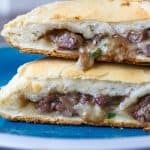 I love combining sour cream and cream cheese as a base because it offers the creamiest of textures with a little bit of tang from the sour cream. Then add in some spice with Togarashi or cayenne pepper, if you don’t have any togarashi. 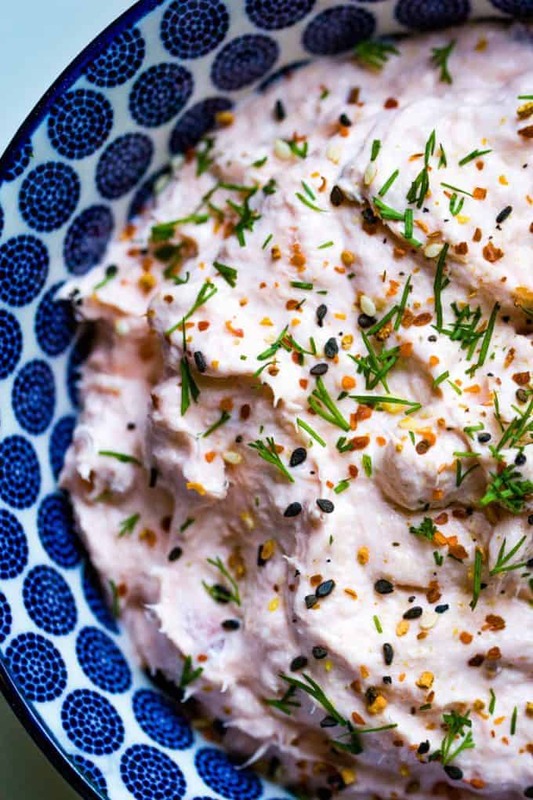 Sprinkle with fresh dill, and you have a stunning dip to dish up. 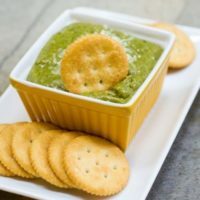 Check out my other super easy dip recipes! These delicious and easy dip recipes are great for parties, holidays, or family gatherings. 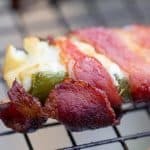 Quick, easy, and delicious Beer Cheese Dip with Bacon. Perfect appetizer for any get-together! 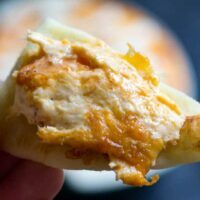 This Buffalo Chicken Dip is an Instant Pot chicken dip that is seasoned with buffalo salt, cooked in buffalo sauce, and then shredded and mixed with cream cheese and more buffalo sauce and cheese. 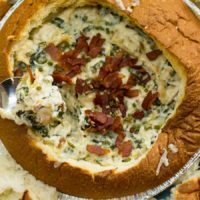 A little change from the normal fare, this spinach alfredo dip will be a welcome addition to any appetizer table! Like spinach dip, but wayyyy better. 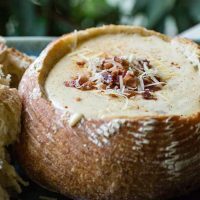 Full of artichokes, bacon, and deliciouos asiago cheese, serve this hearty dip in a bread bowl and don't be surprised if someone makes a meal out of it! 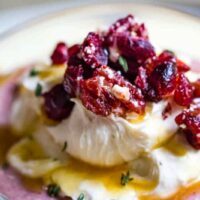 Whipped Cranberry Goat Cheese is a must-make this season. You have a creamy, savory, and sweet cheese spread that you can slather on crackers, bread, or even pita chips. How Long Does Smoked Salmon Dip Last? I recommend using it within four or five days. You have to look at it as what is the first ingredient that will spoil in the dip. That would probably be the sour cream or cream cheese. Cold smoked salmon has a shorter shelf life than hot smoked salmon, which is what I am using here. What Do You Eat With Smoked Salmon Dip? Nope! This is a dish that is best served as fresh as possible. You can make it a day ahead of time to let the flavors meld, but stay away from the freezer! 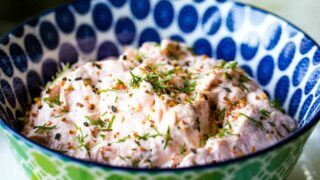 I love a hot and creamy smoked salmon dip, but this cold smoked salmon dip is a totally different experience. It is light, refreshing, and the perfect spread for any occasion. 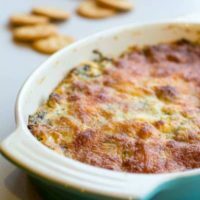 I had even snacked on this cold salmon dip recipe for lunch when the kids were in school. 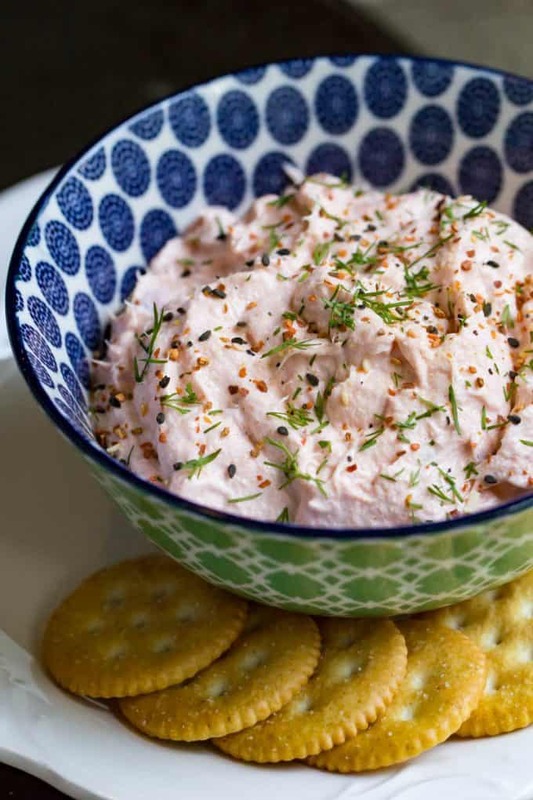 Cold salmon spread hits the spot on days you want a lighter meal. I prefer to use togarashi, which is a Japenese seasoning. 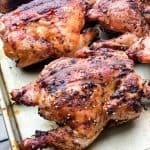 You will find this spice is seven spice blend that is a bold and zesty addition to many many dishes. If you do not have any laying around, you can easily swap with cayenne. 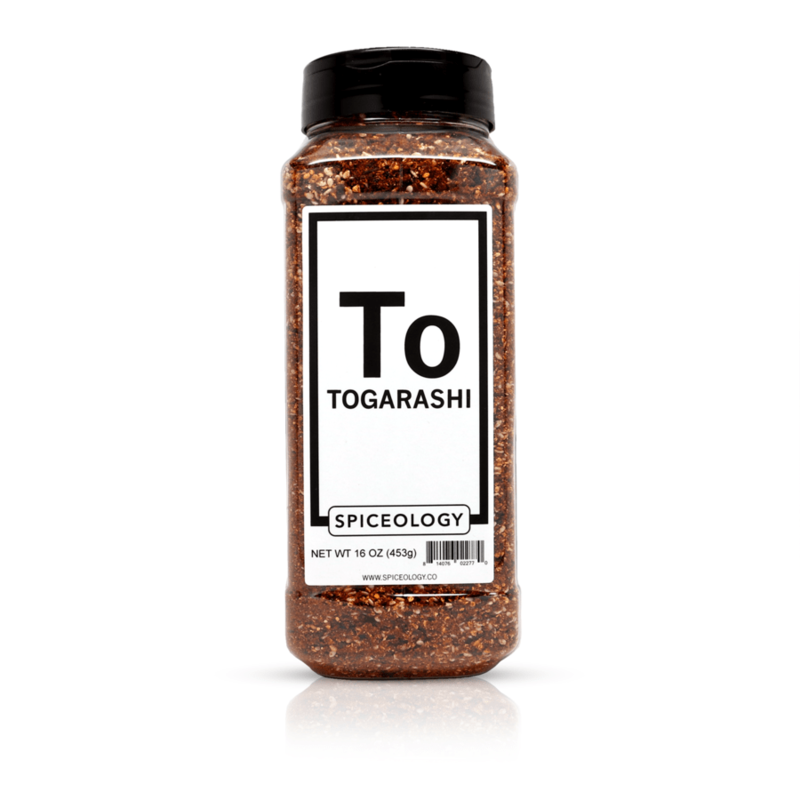 Togarashi has seasonings like chili peppers for spice, ground Japenese pepper for more heat factor, and then some tame sweetness like ground ginger and orange peel. All of the spices come together and work incredibly well with smoked salmon. 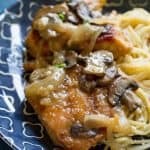 You can find a link to my favorite brand of togarashi down in the recipe card in the “Recommended Products” section. The difference between lox and smoked salmon is that the Lox is not cooked or smoked at all. 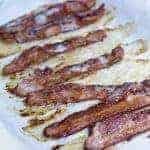 It is cured in a brine or a rub. Lox is typically served by with bagels and cream cheese, and onions, tomatoes, and even cucumbers on top. 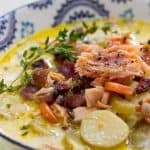 Smoked salmon can be used in a similar way, but with hot smoked salmon you are also cooking it during the smoke period. You will be amazed at how satisfying this dip is. 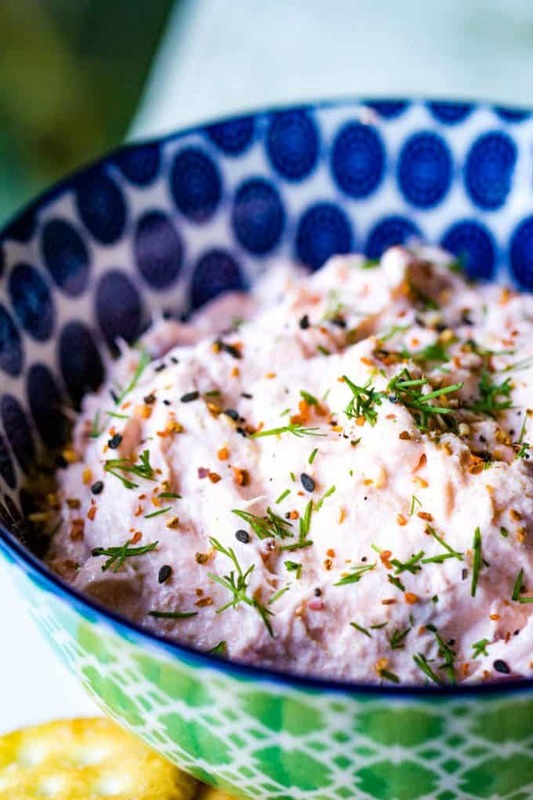 If you are a fan of smoked salmon, this smoked salmon dip is right up your alley. 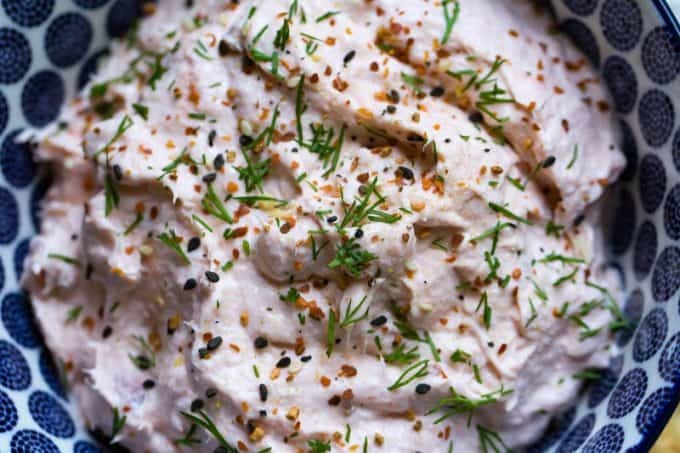 Easy Smoked Salmon Dip is made with hot smoked salmon, cream cheese, and other common household staples you probably have laying around right now. Add all the ingredients in a bowl and stir until combined. If you like a chunkier dip, wait until the very end to add the salmon.